A Plastic Ocean is a new award-winning feature length documentary brought to you by a group of dedicated scientists, film-makers, social entrepreneurs, scholars, environmentalists and journalists, that explores the fragile state of our oceans and uncovers alarming truths about the consequences of our disposable lifestyle. A Plastic Ocean documents the global effects of plastic pollution and highlights workable technologies and innovative solutions that everyone - from governments to individuals - can do, to create a cleaner and greener ocean. A Plastic Ocean has been selected for screenings at international conferences and festivals around the world including at the Smithsonian Institute and the International Union for Conservation of Nature, where the film was seen by former US President Barack Obama and environmentalists Sylvia Earle and Jane Goodall. Watch A Plastic Ocean Now! The copyright of A Plastic Ocean is owned by Plastic Oceans Limited in Hong Kong. If you would like to organise a screening, you must purchase a licence from us. Unlicensed public or group screenings are classified as federal crimes and incur a penalty of up to US$150,000. Whether you represent an organisation, a school, or yourself, you can organise a screening in your local community and spread the message! The procedure is simple, just complete the form and our licensing officer will contact you. Host a screening of A Plastic Ocean in your community, school or with friends and family. 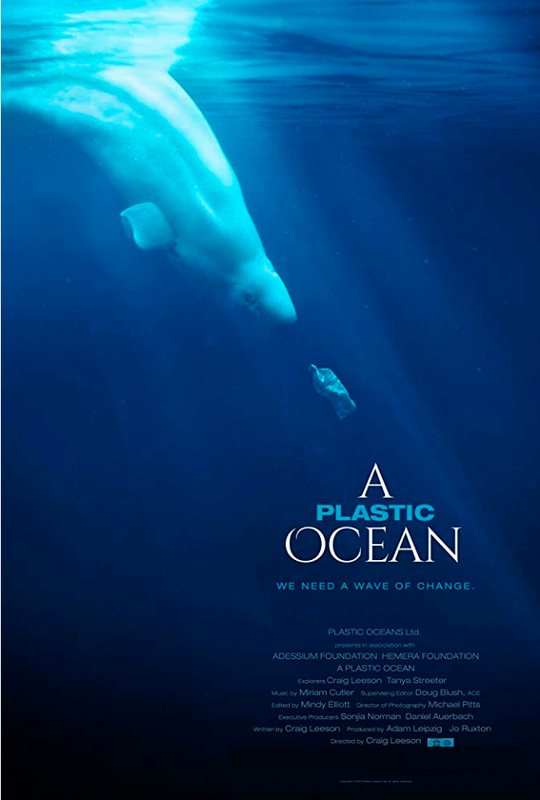 If you are planning multiple screenings, please email us directly at info@APlasticOcean.movie. Our licensing officer will follow up with you.